The health and well-being of your animals is very important to us. In order to provide you with the best information we can, so that you can help them as effectively as possible, we offer these support services. If you would like guidance with your choice and use of our Herbal Solutions, we will be happy to help. Use one of our questionnaires and submit online. We will carefully review the information you send to us and contact you within a week with our recommendation or, if need be, more questions. All questionnaires will be considered on a first come, first serve basis with the exception of emergencies which will, of necessity, take precedence. Or, if you have any other questions regarding our Herbal Solutions or how to use our services, please feel free to call Customer Service at 866-537-7336. 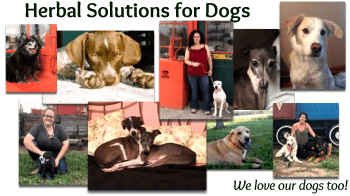 Dr. Thomas will analyze and interpret your horse’s or dog’s blood chemistry report, provide a brief explanation of his findings and recommend the most effective herbal solution protocol for your horse’s or dog’s recovery. The cost of this evaluation and recommendation is $20. For more information, including the blood work tests that will be most useful, contact customer care or call 866-537-7336. Custom Formulas require in-depth work by Dr. Thomas. This means that he will only accept the work of creating a custom formula for your horse or dog if he feels that it is necessary for recovery and that a Custom Solution is likely to be effective. 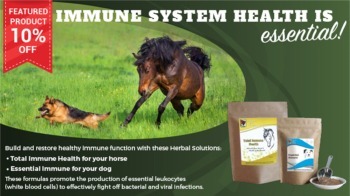 If he accepts your horse or dog as appropriate for a Custom Formula, he will prioritize this work so that you receive your Custom Herbal Solution in as timely a manner as possible. For this service Dr. Thomas charges $150.00 per hour. Although he is usually able to create a Custom Formula within this time period, some cases require lengthy research and an additional charge may be applied. Download the following, Protocol for Special Formulations, for a full description of this service and fees. 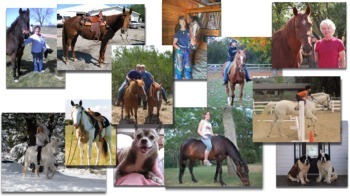 Submit your horse’s profile and history by completing the Horse Health Questionnaire or your dog’s profile and history by completing the Dog Health Questionnaire.